China's fakeries make a mockery of the Olympic spirit. I have an eight-year-old daughter. I know what eight-year-old hands and feet and hips and teeth look like. They look a lot like the hands and feet and hips and teeth of the purported “teenagers” on the gold medal-winning Chinese girls’ gymnastics team. The two pounds of frosty blue eye shadow and Bubblicious pink blush that the ChiComs piled on the cherubic faces of their gymnasts backfired. Rather than masking their youth, the pedo-friendly makeup made them look even younger, like five-year-olds dressed up for a Beijing Halloween Gone Wild. #ad#One of the Chinese team members has an unexplained missing tooth — explicable if someone knocked it out, or if she’s the only “16”-year-old on the planet still losing her Chiclet-sized baby teeth. Take your pick. The coaches refused to elaborate on the gap. Apparently, the ChiComs hoped all that iridescent glitter glopped onto the wee foreheads of their athletes would blind spectators’ eyes to the screamingly obvious. Lo and behold, the magic dust has worked on the ostriches that sit on the International Olympic Committee (IOC). They’re in deeper denial about cheating than John Edwards. Gymnasts are required to turn 16 this year to be eligible for competition. Official records, ChiCom state media reports and Internet data all undermine the eligibility claims of at least three of the girls. He Kexin, for example, was listed as 13 in November 2007 by a Chinese state news service. Jiang Yuyuan’s birth date has magically evolved from one that makes her 15 in October to another that makes her 16 in November. The sports world is in an uproar. But the IOC is covering its ears and singing “la, la, la, we can’t hear you.” Welcome to this week’s live-action performance of Cheating ChiComs, Crouching IOC. The committee, along with the International Gymnastics Federation, accepted China’s passports for the girls as ironclad proof of their ages. They insist on ignoring the long trail of whitewashed documents online. Zhang Hongliang, an official with China’s gymnastics delegation, successfully stonewalled: “We already explained this very clearly. There’s no need to discuss this thing again.” Bowing, scraping, Olympic officials have complied. There’s no such thing as a bureaucratic error in an authoritarian regime. China has a long, state-sponsored history of cheating by every means necessary and exploiting its female athletes, from the doped-up female runners of “Ma’s Army” to the human growth hormone–fueled victories of the Chinese women swimmers over the last 15 years. The revelations about the opening ceremony’s fireworks fakery and lip-sync switcheroo involving two more exploited Chinese girls simply underscore the regime’s threat to whatever is left of the integrity of the Olympic Games. The Olympic Village has become China’s triumphant Potemkin village. Swifter, Higher, Stronger? Try Smaller, Liar, Younger. 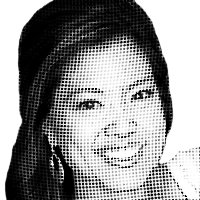 – Michelle Malkin is author of Unhinged: Exposing Liberals Gone Wild.